Small-scale LNG describes a range of activities, all of which have one thing in common – they extend the reach of LNG into new markets. The competition is generally oil products, which LNG is well placed to beat, both on price and in terms of its near absence of sulphur and relatively low CO2 emissions. Capital costs are comparatively low and small-scale LNG can piggy-back off existing large-scale infrastructure to reach otherwise inaccessible markets. Small-scale LNG on the supply side refers to liquefaction plants with capacity of less than 500,000 metric tons a year, while on the demand side it is effectively the breaking down of LNG into ever smaller parcels to reach a much wider range of direct-use applications. The three main areas are shipping, road transport and power generation, the latter usually in remote or island settings. According to a forecast made by Engie in 2017, small-scale LNG demand will rise to between 75 to 95 million mt/yr by 2030, of which power will account for 26%, marine LNG 32% and trucking 42%. At this level, even as the LNG market doubles in size, it will be an important component of overall LNG demand. A more recent forecast by consultants Wood Mackenzie put current small-scale LNG at 25mn mt, rising to 30mn mt/yr in 2020, and 80mn mt/yr in 2030. The market split is about 66% trucking, 25% power generation and 9% power generation, according to WoodMac. The trucking component may in fact be substantially higher, owing to the rapid growth in use of LNG fuelled trucks in China, the number of which WoodMac cites as 220,000. Other estimates suggest 300,000, but even this number appears a bit stale. According to Chinese media, production of large LNG trucks in 2017 reached 96,000, up from 19,600 in 2016. The Chinese LNG-fuelled trucking fleet may now be edging close to or over 500,000. Whether the higher or lower ends of the market forecasts are realised depends a lot on price because in all three of the major small-scale LNG market segments the competition is oil products, generally diesel for road transport, diesel or low sulphur fuel oil in power generation and fuel oil or marine diesel in shipping. Market conditions are pushing the price of spot LNG to low levels, while Opec has reduced oil output, the net effect being to widen the oil/LNG spread to LNG’s advantage, for now at least. Uptake also depends heavily on regulation with limitations on sulphur and CO2 emissions pushing users towards cleaner fuels on both land and sea. Regulations specifically targeting sulphur and CO2 will benefit LNG. In addition to its global 0.5% cap on sulphur in bunker fuel from January 2020, the International Maritime Organisation last year launched a study into the possible designation of the Mediterranean as an Emission Control Area (ECA), which would herald a sulphur cap of 0.1%. The study’s completion is expected this spring. In October, France came out in support of the proposal. There are four ECAs worldwide: the Baltic Sea, the North Sea, the North America ECA and the US Caribbean Sea ECA. Back on land, in May last year, the European Commission presented a legislative proposal setting the first ever CO2 standards for heavy-duty vehicles in the EU. In February, a deal was reached between the EU Council, which represents member state governments, and the EU parliament, for new rules designed to reduce trucks’ CO2 emissions by 15% on average compared with 2019 between 2025 and 2029. The proposals still have to be endorsed by member states. Given the weight, power and range challenges presented by the electrification of heavy-duty vehicles, uptake of LNG as a truck fuel is expected to increase to meet the new rules. A study by Imperial College’s Sustainable Gas Institute in January found that LNG use in trucks could reduce total greenhouse gas emissions by a seventh against the lowest estimates for diesel truck emissions. However, it also warned that some LNG engines could emit more greenhouse gases than diesel, depending on supply chain characteristics, engine type and use. 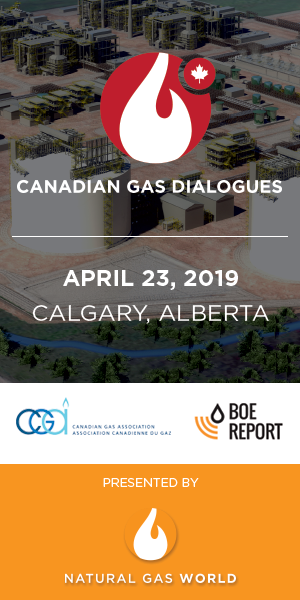 LNG has competed well historically against oil products on price and appears for now to be on the right side of history when it comes to ever tightening environmental regulations, but small-scale LNG faces a huge challenge when it comes to infrastructure. Small-scale LNG is taking on fuels with established supply chains in which huge amounts of capital have been invested over many decades. An average Asian, European or US town will boast multiple service stations selling gasoline and diesel, but to offer LNG remains a rarity. It is the old ‘chicken and egg’ problem. Truck and or shipping companies are loath to invest in ships and trucks fuelled by LNG until there is certainty that they can be serviced; LNG retailers are reluctant to invest in the infrastructure unless they can be sure paying customers will turn up. Nonetheless, where there is a will there is a way, and China once again grabs the spotlight through the expansion of its ability to transport LNG by truck, allowing LNG access to small consumers in the vast areas not covered by the nation’s gas pipeline network. Delivery of this gas is a key component of China’s ‘2+26 cities’ programme, designed to shunt consumers from coal to gas use. According to WoodMac, an extraordinary 19mn mt of LNG were transported by truck in China in 2017, with capacity expected to rise to 38mn mt/yr by 2025. This is where small-scale LNG demand can piggy back of those big, lumpy import terminal investments. The ability to transport LNG by truck, to provide fuel to ships or break LNG down into ISO containers for transhipment means import terminal throughput can exceed regasification capacity. Truck loading and bunkering facilities are thus potentially valuable bolt-ons for an existing LNG terminal and their development is spreading. Pavilion Energy said February 25 that had chartered its first LNG bunker vessel to be used at the Port of Singapore. Also in February, Singapore LNG Corporation completed modifications to the secondary jetty of its LNG receiving terminal on Jurong Island, allowing it to receive and load small LNG ships of between 2000 m3 and 10 m3 capacity. "We believe that there is good potential for the small-scale LNG market to flourish in this part of the world, and the timely completion of the SSLNG Facility is an important step forward in SLNG’s efforts to support this growth," said interim CEO Sandeep Mahawar. Japan’s Mitsui OSK Lines (MOL) announced in late January that its LNG-fuelled tugboat Ishin bunkered LNG fuel at Sakai Senboku port, the first bunkering of LNG as a vessel fuel at any port in Japan’s Kansai region. The LNG was supplied by Osaka Gas using a truck-to-ship procedure. Other ports are picking up on the opportunities. In Zeebrugge, Belgium, the LNG bunkering vessel Engie Zeebrugge has been operating since 2017, while the world’s largest bunker supply vessel Kairos is operating at Klaipeda port in Lithuania. In December 2017, Klaipeda LNG also completed a small-scale onshore LNG reloading station, which is serviced by LNG trucks taking LNG to consumers in Estonia, Poland and Lithuania. A string of relatively small-scale LNG bunkering facilities has sprung up in the Nordic countries, a development heavily influenced by the Baltic and North Seas ECAs, such as Pori and Tornio Manga in Finland, Oera in Norway and ports in Sweden based on the supply of LNG to ships and industry located on the coast and inland. In another example of small-scale LNG’s ability to reach formerly inaccessible markets, the Portuguese island of Madeira has imported more than 100,000 tons of LNG since 2014, owing to a small-scale supply chain developed by logistics company Grupo Sousa. LNG is transported in standardised ISO container from Sines, home to a full-scale LNG import terminal on the mainland, to Madeira. The containers are cryogenic IMO Type-C pressure vessels fitted within an ISO standard-size frame, which can be easily transferred from and to ship, road or rail transport, while also acting as storage capacity. Sousa uses 55 40 ft ISO containers, which make up its 'virtual pipeline’, but the containers come in 30 ft and 20 ft sizes for smaller applications. Sousa’s tanks are trucked from the Sines LNG import terminal outside Lisbon to a ferry port the opposite side of Portugal's capital from where they are shipped 550 miles by sea to Madeira. The 2019-2025 Global LNG ISO Tank Container Market Report, published in February, valued the LNG ISO tank container market in 2018 at $92mn. The report forecasts that the market’s value will rise to $160mn by 2025, a compound average growth rate of 8.2%. Development of the virtual LNG pipeline also allowed Madeira to offer LNG bunkering. Sousa and Portugal’s Galp conducted the first LNG bunkering operation on Portuguese territory in November 2017 when they delivered LNG to the cruise ship AIDAPrima. Madeira’s virtual pipeline is an example of intermodal container trade, which is particularly well suited to islands and archipelagos, allowing a large LNG import terminal to serve a wide geographic area in which demand is too dispersed to warrant more import terminals or the costly subsea construction of electricity cables or gas pipelines. In the Caribbean and Central America, many islands and countries are dependent on oil-fired power generation, with oil products transported by ship, resulting in high electricity prices. There is little or no chance of being reached by a gas grid, while many governments lack the capital to extend the electricity network. In addition to renewables, small-scale containerised LNG offers a real solution. The fact that the US to the north is overflowing with shale gas, is in the midst of a huge expansion of its Gulf Coast liquefaction capacity and is hungry for new markets only reinforces the opportunity. Containerised LNG is already making it to Bermuda, Puerto Rico and Barbados. LNG’s prospects in the Caribbean were also boosted last year by an important regulatory change in the US, which now makes it possible for small-scale US LNG exporters to export up to 51.75bn ft3/yr to countries with which the US does not have a free trade agreement. Madeira’s virtual pipeline, combined with standardised intermodal transportation, may prove a blueprint for gas systems that extend hundreds of miles beyond both LNG import terminals and the end of the conventional pipeline system. For the full Magazine sign up FREE below and download the March 2019 edition of LNG Condensed. LNG Condensed brings you independent analysis of the LNG world's rapidly evolving markets. Covering the length of the LNG value chain and the breadth of this global industry, it will inform, provoke and enrich your decision making. 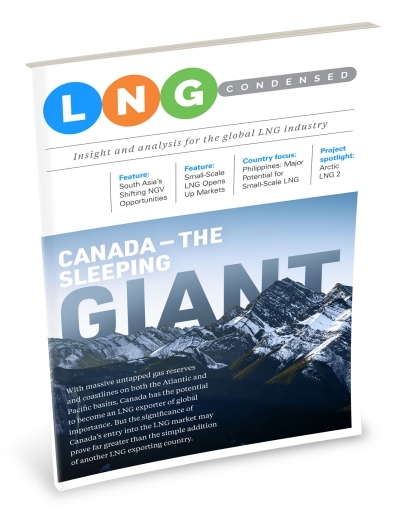 Published monthly, LNG Condensed provides original content on industry developments by the leading editorial team from Natural Gas World. LNG Condensed is your magazine for the fuel of the future. What is your company’s main business activity within the natural gas industry?